Although NFL TV ratings declined by 9% in the regular season, the cost of a 30-second advertising unit climbed almost by the same level for networks. The seasonal average for all NFL games on TV networks was up 6% to $499,095 for a 30-second commercial, according to Standard Media Index. Both NFL Championship games did even better -- on average -- up 8%. 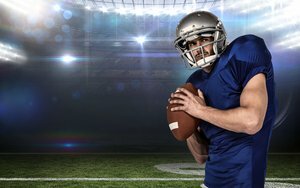 Fox’s Green Bay-Atlanta was 11% higher to $1.8 million; CBS’ airing of Pittsburgh-New England AFC game grew 5% on 30-second commercial versus the year before to $1.6 million. During the regular season, all NFL series of games grew: NBC’s “Sunday Night Football” rose 6% to $614,972 per spot; CBS “Thursday Night Football” was up 9% to $537,494; and ESPN’s “Monday Night Football” inched up 1% to $301,733. In addition, Sunday afternoon/daytime games climbed. Games on Fox added 6% to $531,871 while CBS increased 4% to $406,405. In 2015, NBC aired two Thursday games, but not part of the TNF series -- the NFL Kickoff and on Thanksgiving -- averaging $808,648. MoffettNathanson Research says NFL regular season games were down 9% in 2016 to an average 17.1 million viewers; NFL Playoff games were 6% lower to average 32.6 million viewers.